Halloween is right around the corner. But did you know that it’s the most dangerous day out of the entire year for your child? That’s right. They’re more likely to be involved in a pedestrian accident during All Hallow’s Eve than during any other night of the entire year. For this reason, officials with the City of Boston and our Boston personal injury lawyers are here to offer you some important and effective safety tips to make sure that everyone stays safe during this year’s Halloween activities. -Never allow young children to go out on their own. -Take little ones trick-or-treating earlier in the evening. -Make sure that you’re familiar with the neighborhoods you’re in. -Pick neighborhoods that have sidewalks and less traffic. -Make sure children know to stay in a group. -Make sure that everyone has a curfew. -Make sure you keep a cell phone with you. -Only approach houses that are well lit. -Consider keeping personal information, like name, phone number and address, inside of your child’s costume. -Make sure that everyone knows not to go into someone’s home that they do not know. -Make sure that we use sidewalks and driveways. Never cut across anyone’s front yard. -Never go into the home of someone who you don’t know. -Be cautious of other people’s dogs. Never approach one that you do not know. -Make sure that you plan out your trip before you go. -Only cross the work by using crosswalks or by crossing at a street corner. -Make sure that all children carry a flashlight with them. -Make sure that all costumes are brightly colored to make sure that they’re easily seen by motorists. -Make sure that point objects, like the ones on swords and devil’s forks, are made of soft materials. -Make sure that everyone is wearing comfortable shoes for walking. -Consider trying out face paint instead of a mask. Masks only block a child’s view. You want to make sure that they can see everything around them at all times. -Make sure their costumes are flame resistant. 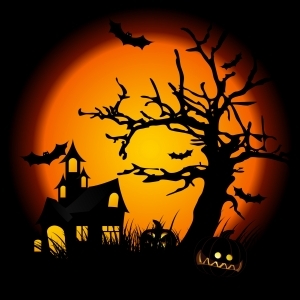 -Don’t allow costumes to be too long and serve as trip and fall hazards. -Never consume any candy before having an adult look at it first. -Toss our candy that is not in its original container, that looks like it has been tampered with or is homemade. If you’re staying home this year, you’re asked to use artificial light in your jack-o-lanterns. You never want to leave candles unattended when you do use them. You should always make sure that your home is well lit and that your walkways are unobstructed. Lastly, you should make sure that your pets are secure. You don’t want to run the risk of one getting loose and really scaring a trick-or-treater. If you or your child has been injured in an accident in the Boston area, contact Injury Attorney Jeffrey S. Glassman for a free and confidential consultation to discuss your case. Call 877-617-5333.